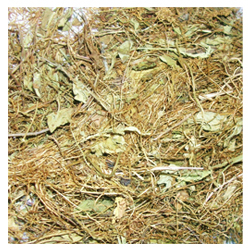 You are at:Home»Herbs»Cuscuta reflexa Roxb. Latin name : Cuscuta reflexa Roxb. Description : The seeds are alterative, anthelmintic, carminative, demulcent, diaphoretic, diuretic, expectorant, febrifuge, purgative, stomachic, tonic, purifier of the blood and cleanser of the body. They are useful in liver and spleen complaints, bilious affections, diarrhoea and flatulence. They are given in jaundice. They have mildly laxative effect and are also given for urinary problems. Recommended Dosage : 3 to 7 g powder. Contraindication : The seeds have no known warnings or contraindications.